It has been way too long since I have posted here. There is so much going on at our store & with the online division that I am having a hard time blogging and getting everything else taken care. I am going to try & get here once a week. I have so many ideas for the blog, it’s just finding the time to make it happen. I’m not sure it you blog followers also follow on Facebook, Twitter, and Instagram, but that is where I post new products , as well as daily specials and anything else I think may intrest our followers. Last week we hit 500 followers on Instagram and we gave away a bag of Shabby Chic fabric. Next we want to hit 1000 followers. We’re getting close. 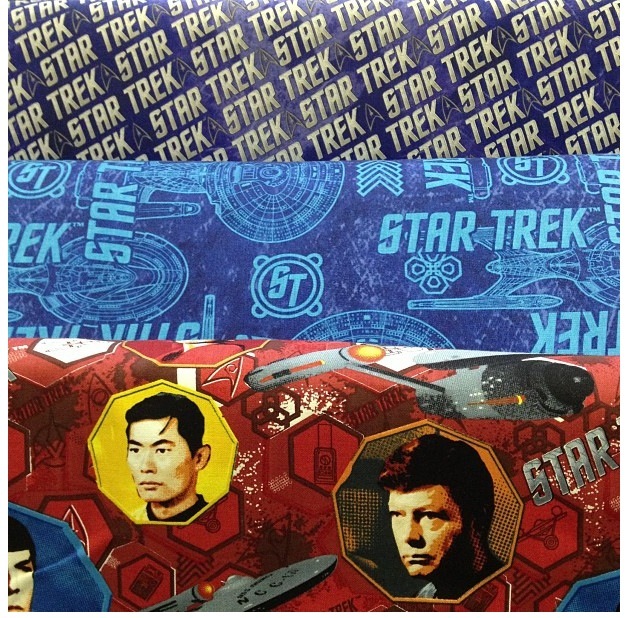 Follow us on Instagram and you will be entered to win 2.5 yards of one of our ITY prints. Just find the post that asks you to enter the ITY you would most want. Enter the ML number in the comment box & you will be entered to win. Remember you must also follow us. We have new products in store & online almost daily. I just want to share a few of those items here. 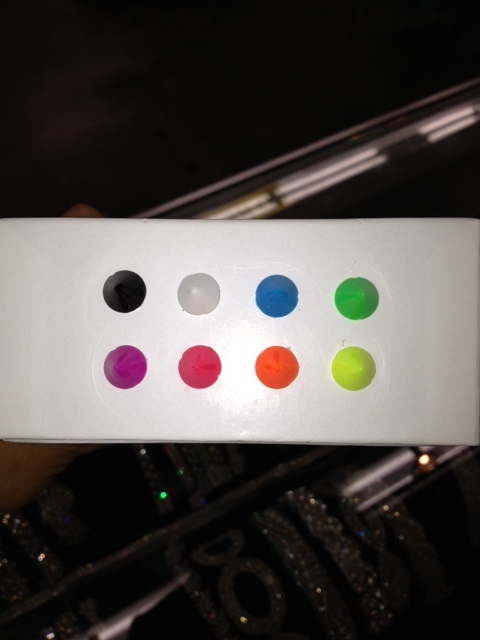 I love, love, love these new colored sew-on spikes. Add a little neon to your look. 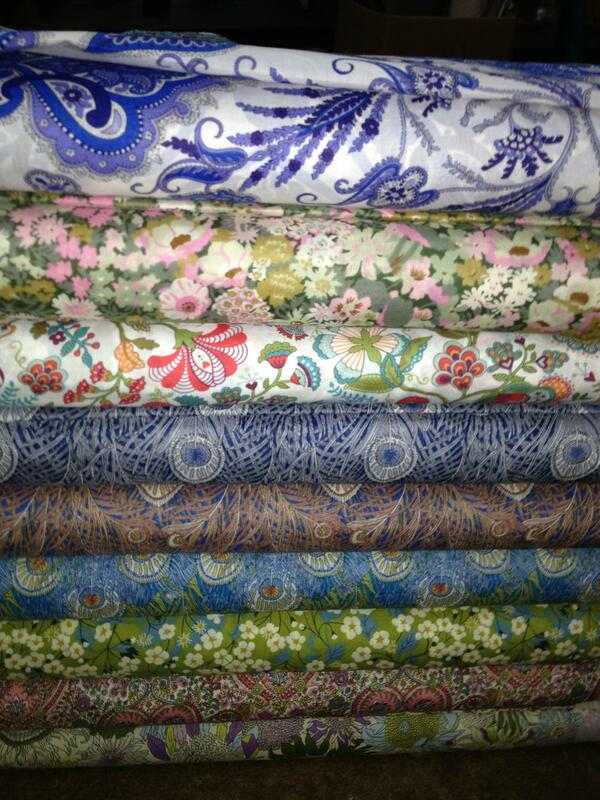 We have been receiving cottons like crazy. Don’t forget they are 10% off everyday. We just added our Liberty to that as well. (online only) I know cottons have gone up in price the last couple of years. Hopefully this 10% will help a bit. This is Paloma from Dear Stella. Beautiful aqua & citron colors. This is a brand new Japanese import from Seven Islands. It has two usable sides. Great nautical look. This is our newest Liberty. Last week we received over 15 new products. 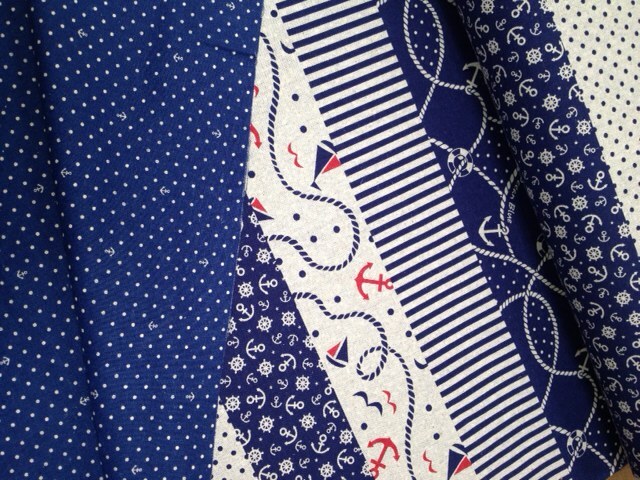 From this sophisticated blue & white, to a really fun candy print. We also just received new licensed prints. We have The Simpsons, Family Guy, and the ever popular Star Trek. One more collection that caught my eye was Taxi. 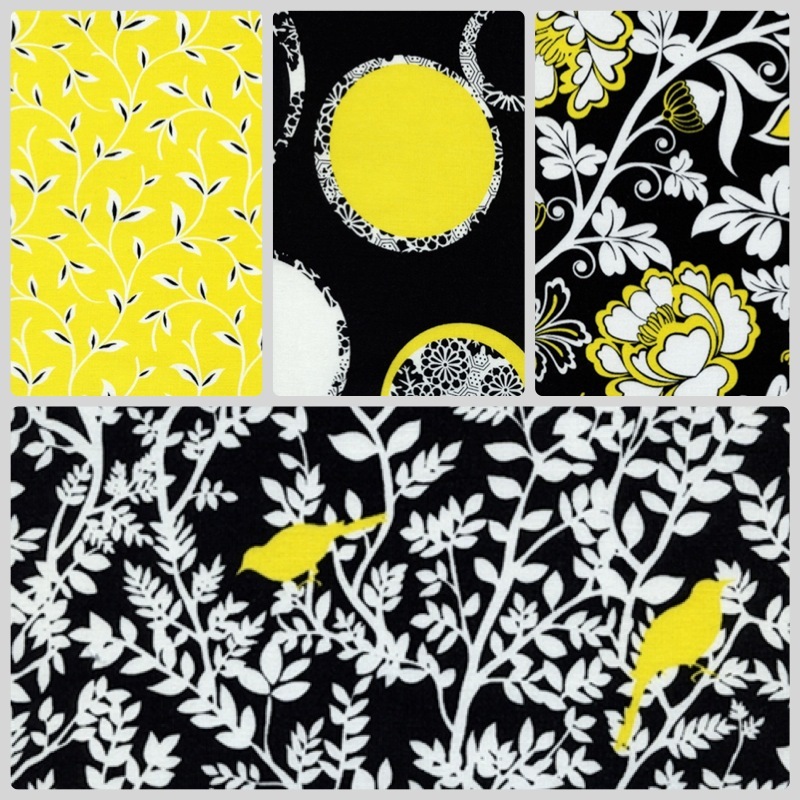 Designed for Timeless Treasures by Alice Kennedy, Taxi is bold. Black, white, and yellow really make a statement. Beside cottons we have new knits, wool blends, and linens that just arrived. 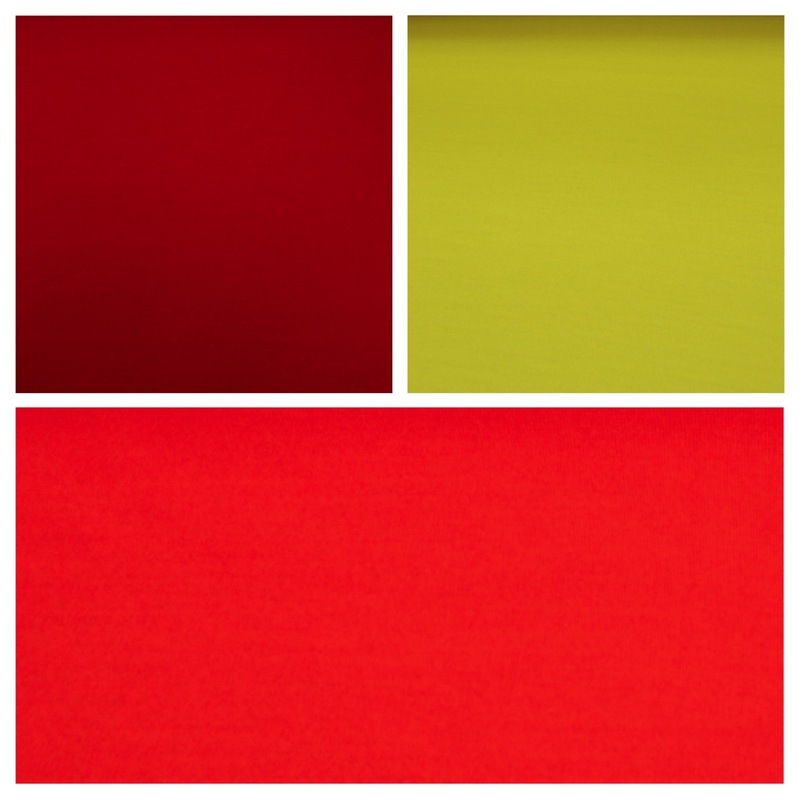 Here are a few bright wool blends and just a few of the ITY’s that we have. Lastly, for new product, I have to share Sealah-No-Sew Tape. I love it. We carry it in all the sizes, as well as an assorted pack. It is a double-sided, pressure sensitive, transparent, peel & stick adhesive. 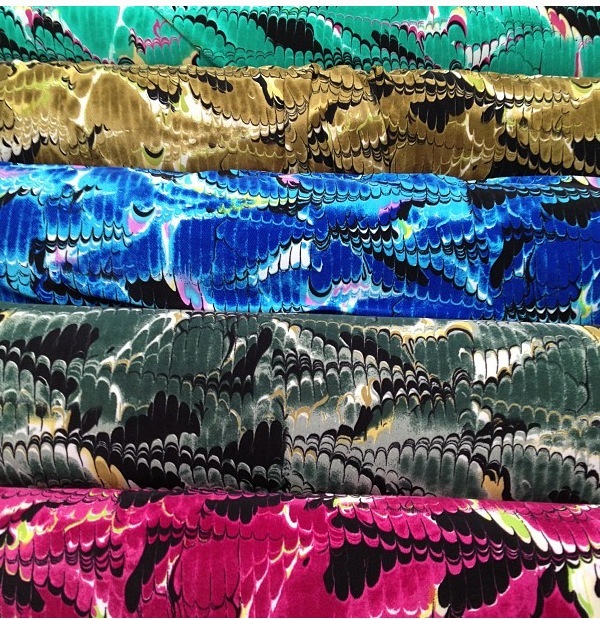 (It is always a good idea to test it with every fabric before you use it on your project) It can be used on a variety of fabrics, trims wood metals, glass, leather and plastic – just about any surface. It is great for window treatments, trim applications, home decorating, crafting, lamp shades, scout badges and appliqués, scrap booking, stamp embossing and repairs or all sorts. Most of your gluing can be done mess free and without burns. I just used it to do a quick fix on my daughters ballet costume and it worked great. I also had a blogger Instagram a photo of a hem she did. She loved it as well. All the new produts above are being added to our online site as I type,. They should all be online by June 14th. Thanks for your patience. They are all ready for purchase in our retail store in Los Angeles. Hopefully I will post again soon. I have so much more to share with you; they’re filming a reality series in our store, Mimi G’s posted a dress from our fabric and we sold over 300 yards in less than 24 hours, we hosted 23 bloggers last week, Mimi G took a behind the scenes tour and had a shopping spree, and more. Stay tuned, I promise there is more to come.